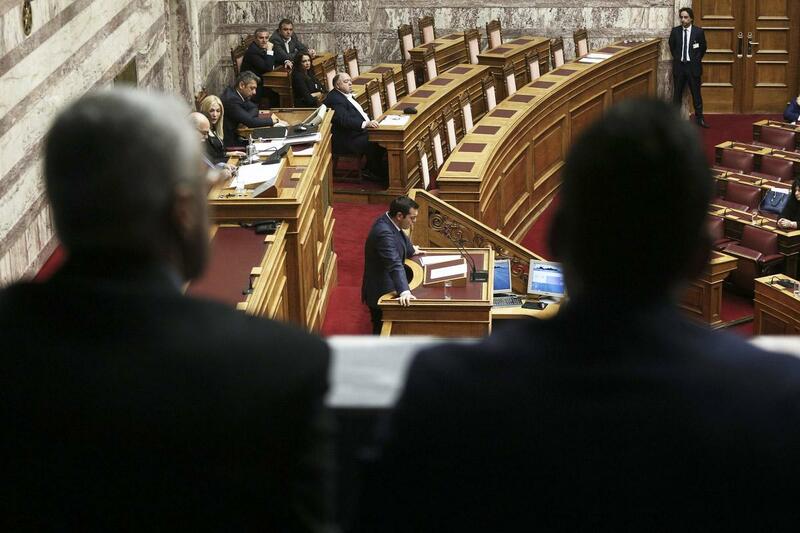 The debate on the Constitutional Review is being held in the Greek Parliament with several points of convergence, but also disagreement, between the government majority and the opposition. The first phase will be finalized on Thursday night, with roll call votes on the proposals submitted by SYRIZA and New Democracy. The same procedure will be repeated in one month, when it will decide how many and what provisions will be proposed to the next, reviewing parliament. The current Parliament has the power to propose the Articles of the Constitution to be revised to the next one that will be asked to approve or reject them. For the Tsipras administration, the Constitutional Review is one of the first major bets of the post-memorandum period. As pointed out by the government, the aim is for the reform to be in a democratic and progressive direction, since Tsipras aspires his government to leave a left footprint both socially and institutionally. Twenty-four changes have been proposed by the government majority, while 56 proposals have been tabled by the main opposition. It should be noted that the review process was in danger of collapsing before it even started, as there was pressure from a wing of the main opposition party to set as a precondition the review of Article 16, which prohibits the establishment of private, non-state universities, a proposition that is unequivocally opposed by SYRIZA. However, this strategy was not adopted by Kyriakos Mitsotakis’ party, thus paving the way for convergences. Disconnection of the election of the President of the Republic from the premature dissolution of parliament and snap election. Election of up to five MPs from Greeks abroad. Annulment of Article 86 on the responsibility of ministers. Limitation of parliamentary immunity only for offenses directly related to the exercise of parliamentary duties. Right to the parliamentary minority to set up committees of inquiry and assimilation of military courts with ordinary ones.